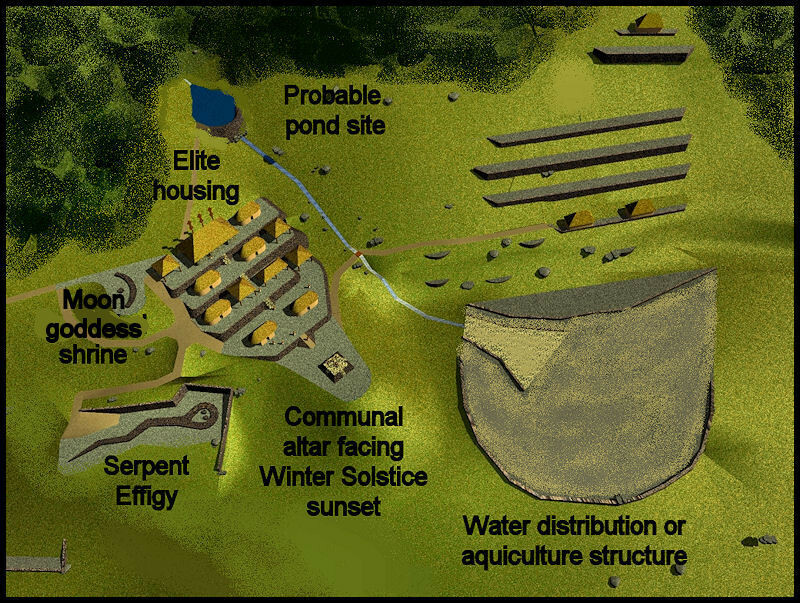 The discoveries of several remarkable “stone architecture” complexes in the Georgia Mountains and Piedmont, during the last three years, are going to radically change the understanding of the Southeastern North America, prior to 1700 AD. They are massive in scale. Several are a half mile to a mile in diameter. One in Metropolitan Atlanta, which was destroyed by construction of a regional shopping mall and office park, was two miles long. Although known to 16 and 17 century French and Spanish traders, the provinces of the Itsate in the higher mountains and the Apalache in the lower mountains and Piedmont, “flew over the radar” of most 20 century anthropologists. Archaeologist Robert Wauchope pondered over a few of the stone ruins in 1939. In 1951, Peabody Museum archaeologist, Phillip White, re-visited these sites and was likewise puzzled. Both Wauchope and White inspected a 300 feet long, U-shaped, triple-terraced ball court in the Georgia Mountains and couldn’t explain it. Their observations were subsequently forgotten by future generations of archaeologists. While the national media provided brief, superficial coverage of the Track Rock Terrace Complex in 2012, there was a news blackout in Georgia. Discussion in Georgia of the spectacular Track Rock site, which covers a half square mile, had been squashed by invisible people with apparently infinite political influence. No journalist in the national media explained that there were several terrace sites in Georgia. To the media, Track Rock was just a “controversy” to attract readers and viewers for a day or two. These discoveries did not “appear out of thin air” as one Georgia archaeologist stated in 2012. During the 1970s, three brilliant men, Dr. Arthur Kelly, Director of the University of Georgia’s Department of Anthropology; Architect Ike Saporta, a member of the Georgia Tech faculty and President of the Atlanta Archaeological Society; and Dr. Roman Piña-Chan, Director of the Museo Nacional de Anthropologia in Mexico City . . . planted the seeds that were to sprout four decades later. Maya DNA typically composes about 5-12% of the total Asiatic DNA of Creek descendants in Georgia and South Carolina. Eastern Creeks were forced to live in a dual world in which their cultural heritage was hidden from the public’s eye until the 1970s. They secretly maintained the cultural memories and watched over the sites of ancient towns. Most Oklahoma Creeks know very little about their heritage in the Southeast before the Trail of Tears. Two centuries and 800 miles separate them from the past. Eastern Creek youth were told vague stores that they were “part Maya” and spoke some Maya words. Many bands of refugees had supposedly come from lands to the South in the past. Also, about 1000 years ago, “Sun Lords” had led followers from the south to establish great new towns. It was only in recent years that I realized that the Creek word for “sun lord,” henehaw, was virtually the same as the Maya word for “sun lord,” hene ahau. Maya hene ahau’s were the siblings of Great Suns (kings), who sometimes journeyed to more primitive lands to start their own kingdoms. The Second Chief of the Muscogee Creek Nation has the title of henehaw to this day. The first anthropologist to reinforce Creek cultural traditions about Maya immigration was Dr. Arthur Kelly. While a rising junior at Georgia Tech, I was in contact with Dr. Kelly one summer, while preparing an inked site plan of a Native American village for him. He mentioned to me that he had found ceramic artifacts along the Chattahoochee River, which appeared to be of Mesoamerican origin or at least copies of Mesoamerican artifacts. Some of them were found in the vicinity of the attapulgite mines at Attapulgus, GA. That fact would have great significance in 2012. Why did they make marble statues of slaves? Dr. Kelly’s belief in direct contacts with Mesoamerica so angered his peers, that he was soon canned by a clique within his department. Fortunately, just before that travesty, he, along with Ike Saporta were instrumental in a fellowship being awarded me to study Mesoamerican architecture and urban planning in Mexico. Both encouraged me to go after a PhD in Anthropology after I finished my obligation to the United States Navy. 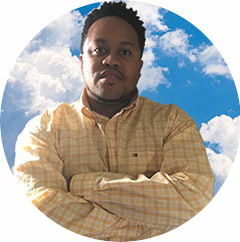 However, unexpected opportunities resulted in an Urban Planning degree instead. The Mexican Consul in Atlanta was a graduate of Georgia Tech’s architecture school. He arranged for me to get VIP treatment in Mexico. The supervisors of my fellowship were to be none other than Roman Piña-Chan, Director of the Museo Nacional de Anthropoliga, and Ignacio Bernal, Director of the Institutio Nacional de Antropologia . . . two of the greatest archaeologists in the world. Unfortunately, there was no space in Georgia Tech’s rigorous architectural curriculum to take Spanish classes between the time of being awarded the fellowship and flying off to Mexico. It was hard enough to work in the fellowship-mandated classes in Pre-Columbian architecture, commercial photography, ceramic arts, ceramic arts history and ceramic engineering. On the kick-off day of the fellowship, Piña-Chan and Bernal were to give an orientation tour of the entire six floors of the museum. Bernal apparently assumed that I was from a wealthy Gringo family that was going to donate money to an archaeological dig. When he realized that I was a young mestizo student from a family of modest means, who was just beginning to speak Spanish, he glanced at his watch, threw up his hands, uttered “idiotas,” and walked away. I never saw or heard from him again. In contrast, Dr. Piña-Chan was quite empathetic. He was also a Mestizo. His mother was Maya. During the remainder of the tour, he and his beautiful graduate assistant, Alejandra, went to the trouble to teach me more Spanish words that were associated with architecture and archaeology. The Mexican Consul had advised me that it was customary for upper level students to give their professors a gift at the beginning of a special academic activity. Since Dr. Bernal had departed, I gave both books to Dr. Piña-Chan at the end of the tour. One book was on the Native American archaeological sites in Georgia. The other was on the Native peoples of the Southeastern United States. That is when the journey began. During the remainder of the semester, Dr. Piña-Chan would assign me field trips to cultural regions throughout the southern 2/3 of Mexico, plus Guatemala and Belize. Periodically, I would return back to the museum for brown bag lunch sessions with him and favorite graduate students, where we would discuss what I had seen and photographed. I did visit several Itza Maya terrace complexes in Chiapas and Guatemala. One was almost identical to the Track Rock Gap Complex. However, I was a young, wet-behind-the-ears architecture student and was mainly interested in the Classic Period architecture of the big Mesoamerican cities. I did not dream that the terraces would have any relevance to my career as an architect. In 2004, officials of the Muscogee-Creek Nation in Oklahoma recruited me to carry out a series of research projects on the pre-Colonial Period architecture and town planning practices of our ancestors. They wanted me to apply what I knew about Mesoamerica to the Southeast. 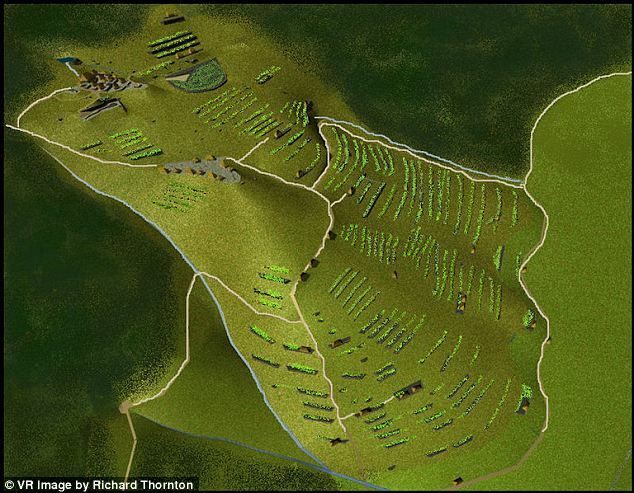 Although I had lived near Etowah Mounds for five years, it was a major learning process. Until that time, I had no clue that our ancestors had been so sophisticated in mathematics, surveying and astronomy. Supposedly by mistake, FannieMae evicted me from my modest home on Christmas Eve of 2009. I decided that going on a great adventure was much more preferable to committing suicide, like many of my fellow architects and civil engineers had done. I frantically put my belongings in a rental storage bin and headed with my three herd dogs to the high mountains. The US Forest Service requires campers to move every two weeks, so I saw a lot of the Southern Highlands. Initially, my only source of income was from pottery, ceremonial pipes and statuary that I made at the camp sites. At some locations, I set up my propane kiln. At others I fired smaller pieces in wood fires. In March, former National Park Service Director, Roger Kennedy, heard about my situation and asked me do field research for him. I sent the reports in from computers at county libraries. Later in the spring, I found a Sephardic Jewish inscription on a boulder at 5400 feet up in the Smokies. It memorialized a wedding held on September 15, 1615. After that discovery, Roger began over-paying me a bit and urged me to do my own research into the 16 and 17 century Sephardic colonists in the Southern Appalachians. While getting to know the Southern Highlands intimately, I was astounded to discover that most of the Native American place names were either Creek or Itza Maya, not Cherokee. Anthropology professors labeled them “Ancient Cherokee words, whose meanings have been lost.” However, we Creeks knew that the Creeks, not the Cherokees, had inhabited western North Carolina and eastern Tennessee until the late 1600s. Yet, what were Maya words doing in North Carolina and Tennessee Mountains? Until around 1785, even the Tennessee River had a Maya name, Callimako . . . House of the King. It made no sense. The Maya words should have been down in southern Georgia. Before having to spend another winter in a tent, I was able to rent an abandoned chicken house near Brasstown Bald Mountain in Georgia. The concrete block office had a wood stove, bathroom, running water, plus telephone-internet connections. From here, I could send in frequent articles to the Examiner, and therefore, pick up some more income. I also could renew my research on 16 century architecture. One day in June 2011, I was at the Track Rock petroglyphs (which were near my funky chicken house) to write an Examiner article. The three herd dogs indicated that they were thirsty. We went across Track Rock Gap Road to look for a stream. While crossing a power right of way, I noticed the footprints of fieldstone walls. Unlike the farmers in New England, Anglo-American Appalachian pioneers did not build stone fences. I immediately suspected that I had found a Sephardic gold mining village. After finding a stream and letting the dogs cool off in it, I continued up the mountain about 30 feet, where I encountered stone retaining walls. They were old, very old. What in the heck were they doing on a remote mountainside in Georgia? For the next six months, I thoroughly surveyed the half square mile site with a GPS device and studied all the available archaeological reports for sites within a 30 mile radius. Using CADD, I created a three dimensional computer model of the archaeological zone. Robert Wauchope had studied a somewhat smaller stone architecture site on an ancient volcanic cone, seven miles to the southwest, along the azimuth of the Winter Solstice Sunset. The Maya and Old Creek calendars began on the Winter Solstice. 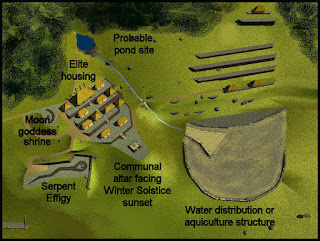 Around 1250 AD, the Creeks switched to a 360 day calendar that began on the Summer Solstice. The new calendar had a varying number of leap days and so was more accurate than the Maya calendar. The number of leap days was determined by astronomer priests. This mountainside town was visited by Spanish traders in the late 1500s and called “Great Copal” because its priests burned copal incense 24/7 from the temple on top. A branch of the Creeks, called the Kashita, claimed to have sacked this town in their “Migration Legend of the Kashita (Creek) People.” So whoever built this complex were not Muskogees, but perhaps another ancestral branch of the Creeks. In 2000 and 2001, the U.S. Forest Service and Eastern Band of Cherokees funded brief archaeological surveys of both the petroglyphs at Track Rock Gap and the stone ruins on the slope opposite the petroglyphs. The three test pits, which the archaeologists dug at the terraces, yielded radiocarbon dates going back to 1018 AD. Given that the archaeological zone covers a half square mile, older radiocarbon dates will probably be found in a comprehensive archaeological investigation. The fill soil of the single terrace excavated, yielded Napier Style pottery that was typical of northern Georgia between around 750 AD and 1000 AD. There were also numerous Plain Redware pottery shards that were typical of Ocmulgee National Monument between 900 AD and 1150 AD. There is very little difference between Ocmulgee Plain Redware and Maya Commoner Redware, which is endemic in the suburbs of Maya cities. There were also some Late Swift Creek Style potsherds, which normally dated from around 600 AD to 900 AD in northern Georgia. Later earth fill levels contained Etowah Complicated Stamp and Lamar Complicated Stamp shards. These are all pottery styles considered ancestral to the Creek Indians. Several miles to the southeast of Track Rock terraces was the Nacoochee Valley. The Kenimer Mound is located there. Around 800 AD newcomers sculpted a massive five sided mound overlooking the headwaters of the Chattahoochee. The mound is so large that most newcomers think that it is merely a large hill. The Kenimer Mound was part of the Proto-Creek town of Itsate, which means “Itza People” in Itza Maya. Also, located in and around the town were hundreds of stone box graves and the 300 feet by 240 feet U-shaped ball court. Each of the three terraces for spectators rises about eight feet. In 1773 and 1776, William Bartram observed some of these U-shaped ball courts still in use, while exploring the Piedmont and Coastal Plain of Georgia. The Track Rock terraces were clearly not a Sephardic Jewish settlement from the 1600s. A hybrid indigenous people, with a substantial Itza Maya component, had founded the town at Track Rock Gap. 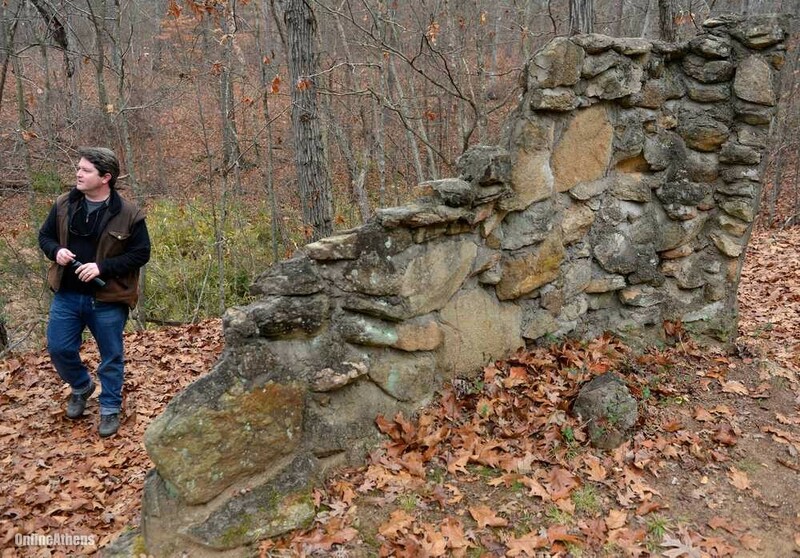 The 2000-2001 Track Rock Gap Study, funded by the USFS, Eastern Band of Cherokees and some local philanthropists, was highly flawed, contained sections that were extremely provincial and lacked the funding to carry out a comprehensive archaeological investigation. However, I did not publicly criticize it in order to avoid making enemies. Once the report was treated by some Georgia archaeologists and the media as an authoritative document, it was too late, because to criticize after the fact would have seemed petty. Neither the official author, Dr. Johannes Loubser, nor the Cherokee bureaucrats, seemed to know that Track Rock had been within the boundaries of the Creek Confederacy until 1785. At that time the United States government “gave” most of Alabama to the Creeks and a substantial portion of the Creeks former lands in northwest and north-central Georgia to the Cherokees. Track Rock had absolutely nothing to do with Cherokee history. The Cherokees were not even in the Southeast when it was built. Unfortunately, from reading this report, one would have thought that the site was 75 miles away on the Cherokee Reservation. Several portions seemed to have been written in draft form by the EBC Tribal Cultural Preservation Office. It was filled with descriptions of Woodland Period sites 65 to 110 miles away in North Carolina, which do not contain any stone ruins. Several irrelevant Cherokee myths were recounted, while the report did not mention the detailed descriptions of the town from English, Spanish, French and Creek sources. Apparently, the authors did not know that these references existed. 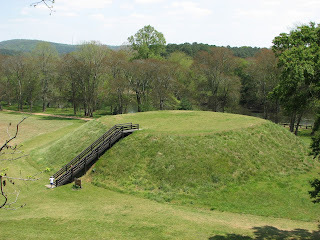 There are several Mississippian Period town sites with mounds in walking distance of Track Rock Gap, that contain pottery identical to that produced at Etowah Mounds. None of these sites or the stone architecture complex seven miles away that was documented by Robert Wauchope, were discussed in the Track Rock Gap report. This was a serious omission that any competent reviewer in the USFS should have caught before the report was approved. In the report, Loubser interpreted the agricultural terraces as “the graves of the thousands of Creek warriors killed when the Cherokees conquered all of northern Georgia in 1754.” The cairns were interpreted as the grave markers of great Cherokee chiefs. 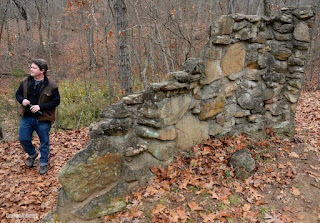 In his presentations made in 2012 and 2013, Loubser changed his interpretation of the 200+ agricultural terraces to being “ceremonial platforms built by the Cherokees for performing sacred dances.” He also began insisting that the site had no building ruins, when in fact, portions of the wall of rectangular and round buildings still stand. The section of the report written by New South Associates in Stone Mountain, GA contained very valuable information on the fill soil in the single terrace studied . . . far more so that the authors realized. Of course, the radiocarbon dating was vital for interpreting the site. Also noted in their report was the presence of potsherds and charcoal, found throughout the soil. The forensic botanist did not realize their significance. That is a “sure fire” indicator of biochar agriculture, which began in western Amazonia and then spread northward to the Itza Maya Highlands. On December 21, 2011, I announced the Track Rock Terrace Complex in my architecture column at the Examiner. I hoped that at least one archaeologist would read it and get excited about the site. At that time, the readership for my nerdy articles ran around 600 to 1200 “views” so that was being optimistic. Within three days, over a million people had read the article. All the major networks, Univision, the London Times and the BBC interviewed me. OMG! After that sort of response, I assumed that several universities would be preparing proposals after the holidays to obtain grants to study the ruins. However, one thing was very odd. While brief stories about Track Rock Gap had been broadcast by the national news media, there was not one mention by any TV station and newspaper in Georgia. It was a pattern that would continue. A group of anthropology professors at the University of Georgia wrote numerous condescending comments to the article, but had absolutely no alternative explanation. None of them had actually seen the Track Rock site or even knew it existed until I wrote the article. Several sarcastic web sites were established by people, claiming to be archaeologists or anthropology students in Florida, in order to attack me personally. They also had no alternative explanations for the terrace complexes. Why 500 miles away from Track Rock Gap in Florida? That didn’t make any sense. The pattern of Middle School behavior in the anthropology profession spread. A South African ethnologist, who teaches anthropology at Oxford University in the UK, wrote an editorial in an American anthropological publication that called me “an ignorant peon.” The professor didn’t know me from Adams Apple and of course, knew nothing about the heritage of the Creek Indians. I had originally prepared a 32 page report to accompany the 3D model of Track Rock Gap to hand over to interested university anthropology departments. My plans were to get back to my primary professional interest, 16 and 17 century Colonial architecture. With the Georgia and Florida archaeologists running a slander campaign focused on me along, I couldn’t afford to remain passive or my professional reputation would be ruined forever. During the winter of 2012 I converted the 32 page report into a 200 page book with 180 color illustrations. The book described the culture of the Creek Indians in detail and discussed all of the evidence supporting an infusion of Maya immigrants into the Creek People. The book ended with seven research questions about Track Rock Gap that could only be answered by other professions. The publishing of the book, Itsapa, the Itza Mayas in North America, in March of 2012 caused someone powerful in Georgia to go bonkers. I couldn’t understand why the Mayas coming to Georgia a thousand years ago could logically be considered a threat to anybody. Some of the more spectacular mountainside sites could attract tourists from around the world. The weird situation smelled of the occult. Occultists are inclined to do things that make no sense to sane people. In early March of 2012, the US Forest Service issued a film permit for the Travel Channel to produce a TV Show at Track Rock Gap. The Travel Channel is partially owned by the same company that owns the Atlanta Journal-Constitution newspaper. In early April of 2012, the USFS office in Gainesville, GA withdrew permission for film companies associated with the History Channel and National Geo Channel to film shows at Track Rock Gap. 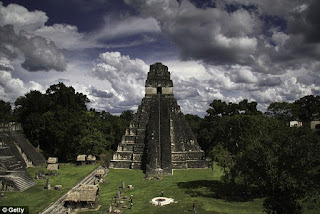 The History Channel was able to obtain a film of the site made in 2011 by a man from Indiana. The production company then contracted with an aerial surveying company to create a LIDAR three dimensional model of the Track Rock site by flying over it. In May of 2012, the Gainesville office of the USFS ordered trees to sawn and chpped down over the access trail to the Track Rock ruins. We counted over a hundred trees killed in this way. When I publicized the travesty with photos in the Examiner, the Public Relations Director in the USFS Regional Office in Atlanta responded by saying that “a few small trees had been blown down in a storm.” Ugh! Pale face woman speak with forked tongue. On the day before filming began here at my cabin, Scott Wolter, the host of the History Channel’s America Unearthed, made one more attempt to get permission to at least personally visit the Track Rock Site. 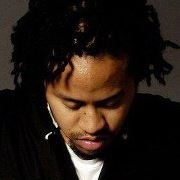 He was rejected and told that with or without a film crew, he would be arrested if he stepped on the property. The arrogant USFS bureaucrat signed the denial with an oversized signature that stretched across the form. It was on a clipboard beside my computer as I was being filmed with Scott. They filmed here for over eight hours, but only about seven minutes made it to through the final cutting. After the History Channel completed filming in Georgia and Mexico, the US Forest Service launched a multi-media propaganda effort that it called “Maya Myth-Busting in the Mountains.” Vastly more taxpayer’s money was expended in this silly program than I have earned in the past ten years. A law enforcement smear campaign was initiated. Federal and state law enforcement monitored my movements throughout 2012 and early 2013. On several occasions federal law enforcement contacted people in my day to day contacts, including my landlord, to tell them, “He’s crazy. Don’t believe anything he says about the Mayas.” Apparently, the jurisdiction of the Patriot Act has been extended to include protection of obsolescent interpretations of Native American town sites. Neighbors were told by federal and state law enforcement that my three Scottish farm collies were dangerous attack dogs, who would kill their babies, puppies and cats. The bad cops also said that I was probably gay, but they hadn’t been able to get a photo of me with another male. They asked the neighbors for assistance in proving that I was gay. When only women were seen in my company, the feds tried something else. Men, who I only knew from emails, wanted to drive from other states to spend the weekend in my cabin. No way José! Officials at the University of North Georgia (located in my county) were told that I was probably a sexual predator of coeds. Wait a minute! I thought you said I was gay? Throughout the later part of 2012, UNG campus cops would race out to the boulevard that bounds the campus to protect their coeds, whenever I drove to Walmart or the supermarket. Even though the History Channel program could have produced millions of dollars of tourism in an economically stagnant Georgia, the news blackout continued. No newspaper or TV station in Georgia discussed the program (before or afterwards) even though it featured archaeological sites in several parts of the state. After the online editor of the Athens, GA Banner Herald briefly mentioned Track Rock Gap in an article about a terrace complex near Athens, he received an angry email from the Public Relations Director of the USFS office in Gainesville, demanding that he retract the mention of the Track Rock Gap . . . since he was trying to distort history. Say what? Now who do you say is the crazy person? There is also a funny aspect to the slander campaign attempted by the academicians and anthropologists. They never used the word, architect, when attacking me personally in interviews with journalists, in blogs and in presentations to civic organizations around Atlanta. I was either a “self-styled historian,” “amateur blogger,” “part time writer” or “pseudo-archaeologist.” I am certain that a psychologist could explain this enigma. All the efforts of mice and men came to nothing on the evening of December 21, 2012. At the close of the premier of America Unearthed, the Mayan-Georgia Connection, a scientist at the University of Minnesota announced that there was a 100% match between attapulgite mined in Attapulgus, GA and Maya Blue stucco used in the Maya city of Palenque. The Mayas had indeed come to Georgia . . . many times over many centuries. Dr. Arthur Kelly must have been laughing from heaven. 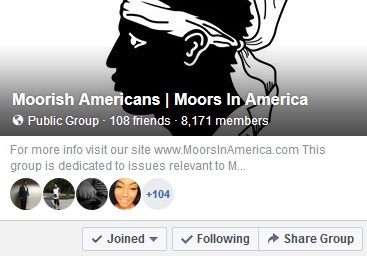 Most Georgians didn’t initially know that the program was being broadcast, but as word spread on the internet, the Maya Myth-Busting in the Mountains campaign came to an embarrassing collapse. The History Channel program has been broadcast around the world, and become one of its most watched programs ever. The show still has not been mentioned by Georgia’s newspapers and TV stations, but people can watch it as re-runs on the History Channel, on the internet or buy the DVD from Amazon.com. Strangers stop me in stores and ask me for my autograph; congratulating me on “making them college professors and crooked cops look like fools.” Tourists come by to have their photograph made in front of my little hovel. From “ole time” mountain families, I have learned that the opposition to publicity about Track Rock Gap came from some extremely wealthy families that control the drug trade. One honest law enforcement officer described the region from Brasstown Bald, GA to Sevierville, TN as “the meth capital of the world.” The drug oligarchs didn’t want large numbers of strangers touring around Union County, GA.
All the drama has ended. Our teams continue to survey and document the many stone architecture complexes in northern Georgia. The big difference now is that county governments are going out of their way to help. They are providing the LIDAR scans, infrared images and topographic maps to do the job efficiently and professionally. Guess you could say that without ever intending to do so, I have become a Rambling Wreck from Georgia Tech and a Heckuva Archaeo-tect.